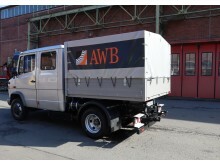 At bauma BPW will be presenting the options available for conversion with the eTransport electric drive axle on the AWB Köln company’s Mercedes-Benz Vario with special bodywork. Wiehl, 21/03/2019 --- Managers of municipal commercial vehicle fleets are some of the regular visitors to bauma, the world’s leading trade fair for construction vehicles and machinery (8–14 April). 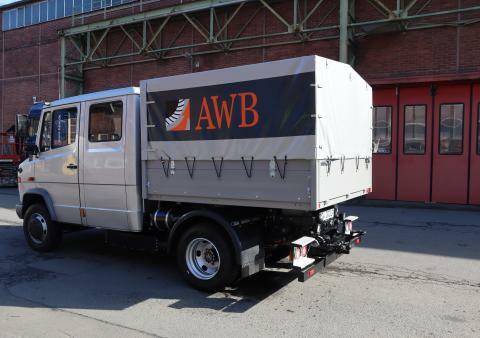 BPW is bringing a very special vehicle to Munich on their behalf: a Mercedes-Benz Vario of Cologne’s municipal waste management company AWB, which has been converted from diesel to an electric drive. 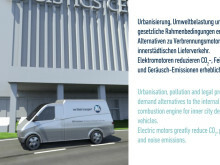 The European market leader in special vehicles, Paul Nutzfahrzeuge based in Vilshofen, now offers conversion to give existing vehicles a second emissions-free life. Located at the BPW Group’s outdoor stand (number FN.827/9), the AWB Köln company’s Mercedes-Benz Vario with special bodyworkwill demonstrate the options available for conversion with BPW’s eTransport electric drive axle: in line with the motto – ‘Out with diesel, in with the electric axle’ – the powertrain is removed entirely, along with the engine, transmission, differential, drive shaft, emission control system and accessory units. Instead, the new electric rear axle provides the drive, delivering a powerful torque of 6,580 newton metres and expertly accelerating vehicles with a permitted total weight of 7.5 tonnes. The highlight: conversion doesn’t make the vehicle any heavier, depending on the battery specifications, meaning freedom from emissions doesn’t come at a cost to the load capacity. Active steering control allows the wheels to be controlled individually and makes it possible to reduce the turning radius. 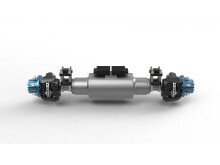 Depending on the customer’s requirements, the range can extend up to 100 kilometres and thus exceeds the typical daily mileage of municipal applications. The rustic-looking MB Vario with state-of-the-art electric drive may seem curious at first glance, but it does make sense: to this day, the Vario is a favourite for numerous municipalities and forms the basis of many different special vehicles, from police vans to municipal utilities’ snowploughs. They’re generally used for many years to ensure the expensive special bodyworks pay off. Many municipalities currently face the dilemma of having to impose diesel bans on themselves and retire expensive special vehicles prematurely. Conversion to an electric vehicle gives the Vario a second life without any of the diesel soot or noise and reduces operating costs, as the ‘combustion’ and thus high-maintenance components are removed. 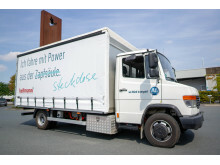 The electric MB Vario showcased in Munich has already begun its services for the AWB Köln company and is the precursor to the regular conversion which will kick off at Paul Nutzfahrzeuge in Vilshofen, Bavaria, in the second quarter. 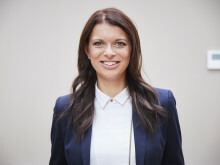 Paul Nutzfahrzeuge and BPW are already accepting orders for conversion from municipalities and companies. 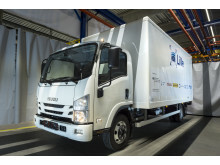 In November, a research project of RWTH Aachen University demonstrated how the electric drive axle performs in a brand-new vehicle:the ‘Chair of Production Engineering of E-Mobility Components’ (PEM) used the BPW drive in a truck of the Isuzu N series. 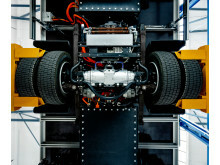 A modular system concept developed at the university should accelerate development and production of electric heavy trucks and further reduce life cycle costs. 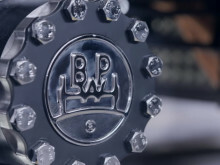 Meanwhile, BPW is already working on concepts for commercial vehicles with a total weight of up to 44 tonnes.